Would you like to add a rope bag? 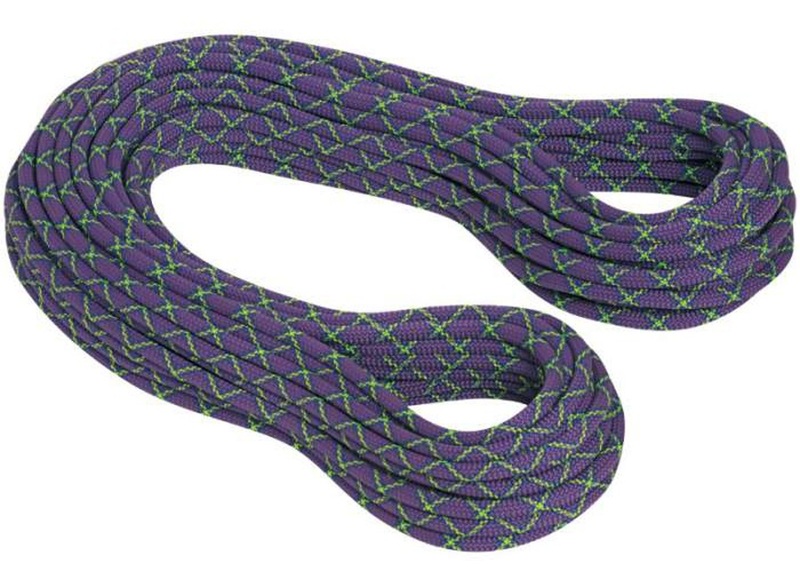 The Galaxy Protect rock climbing rope from Mammut is a great multi-purpose single climbing rope designed with superior abrasion resistance. Mammut PROTECT™ rope finish is a thermal treatment that offers high performance handling and durability alongside 1 to 2 more 'standard fall factors' than Mammut ropes in the CLASSIC series. The Galaxy Protect features a dry treated sheath and yarns but not the coated core seen in the Mammut DRY series. With a diameter of 10mm, the Mammut Galaxy offers a great deal of visual and physical assurance to the climber and belayer. It offers super responsive handling and is perfect for use in gyms, sport or trad climbing. A classic Mammut staple which has stood the test of time. Fun fact, in 1990 when Ben Moon did the first 8c+ in the world, Hubble, he used a Mammut Galaxy!